Aloe Boost by Aloe Life is Nopal Cactus with Whole Leaf Aloe Vera, Minerals, and Amino Acids in an Herbal Base. Posted on February 27, 2018 by Aloe Life International Inc.
Aloe Life Aloe Gold Tablets are amazingly strong in comparison to our fresh juice! 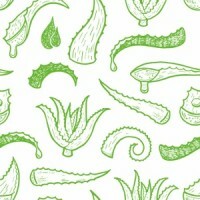 They contain the highest quality dried Whole Leaf Aloe Vera. Much more therapeutic than other dried products, Aloe Life Aloe Gold tablets made from the barbadensis miller species contain no preservatives or gelatin from capsules that can be irritating for bowel distress. Processed through a unique low temperature dehydration method never exceeding 100F, the valuable polysaccharide bonds, enzymes and other important constituents remain active. 3 Tablets are equal to 1 ounce of the Aloe Life Juice Concentrate. Take the taste test and bite into a tablet and you can taste the bitter taste that proves the superiority of the product! 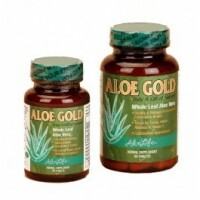 How do Aloe Gold Tablets work? Posted on February 22, 2018 by Aloe Life International Inc.
Why you should start taking Aloe Life Healthy and Slim Daily Greens today! It contains the Highest amount of Greens than any other product on the market; 6,850 mg per 2 Tbs. No Fillers, Potential Irritants or Proteins: beans, seeds, wheat, gluten, flax meal, psyllium, apple pectin, oat bran, wheat bran, soy, beans, tomatoes (nightshade vegetable), filler veggies, brown rice or herbs. 2 Month Supply / Best Buy - 11oz. 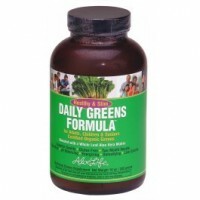 Bottle Concentrated Greens therefore 4-5 servings of vegetables in 1 Tbs. not 2 as other products suggest. Also comes in Tablet great convenience! Tastes Delicious for a therapeutic greens with added Papaya & Pineapple Concentrate and Stevia. High Alkalinizing Greens Formula: 100% ingredients chosen for Calcium to Phosphorus ratios of 3:1. Two Categories of Ingredients: 12 Greens & Whole Leaf Aloe Vera Matrix (9 exotic foods). 9 Exotic Foods Include: Whole Leaf Aloe Vera, Nopal Cactus, Carob, Bamboo, Amlaki, Broccoli Sprouts, SOD from Wheat Sprouts, Green Papaya, Atlantic Kelp, and Sesame Husks. Highest Non Irritating Fiber Content to Include: Sesame Husks only (No rancid oil potential). Supports: Digestion, Energy, Detoxification, PH balance to revitalize the body at any age. Full Spectrum Nutritional Supplement to Include: Vitamins A, C, E, B-Complex, Macro & Micro Minerals, Chlorophyll, 22 Amino Acids, Enzymes, Fiber, Trace Essential Fats, Tocotrienols included in the Vitamin E Comples, Betaglucans, Phytosterols, and Polysaccarides. Posted on February 15, 2018 by Aloe Life International Inc.
Aloe Vera is an ancient plant with over 6000 years of documented history and is classified as an Herbal Bitter. The bitter is from the Yellow Sap also called latex and contains a valuable anthraquinone complex. The 100% safe yellow sap stimulates the flow of digestive juices encourages the bowels to move if needed and contains significant anti-inflammatory compounds. Posted on February 9, 2018 by Aloe Life International Inc.
Aloe Life has formulated Animal Aloe to suppport Soothing Relief and Repair from all skin and body conditions. Our All Natural Organic Aloe Vera works fast. Aloe Vera for Pets - helping improve Skin Conditions, Digestion, Elimination, as well as providing Allergy and Immune Support. For Digestive support just squeeze 1 tsp for small pets to 1 Tbs for Large Pets into their food or let them lick it off your hand or a spoon. For skin conditions or first aid apply topically. The greatest part is have no worries about your pet licking it off because it is nutritious! Posted on February 7, 2018 by Aloe Life International Inc.